As the holidays approach, many of us will receive holiday plants as gifts or purchase them to decorate our homes. Poinsettias by the fireplace sure lend a festive air to the season, and who doesn't have a sprig of mistletoe hanging by the front door. We need to remember, however, that several decorative plants are poisonous to our pets. Mistletoe and holly can cause vomiting and diarrhea. The berries of these plants are attractive, easily swallowed, and potentially fatal if consumed. Poinsettias, like the leaves of most any plant, can also cause stomach upset. 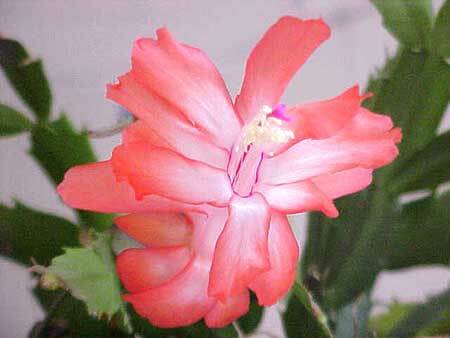 Amaryllis and Christmas cactus can both cause severe depression, abdominal pain, vomiting and diarrhea if ingested. So what can you do if you want to have the plants but ensure the safety of your pets? The most obvious answer is to use artificial mistletoe and holly. There are many silk varieties available that look just like the real thing and still keep those kisses coming! You can also keep plants out of your pet's reach by not placing them on the floor or in areas where you allow your four legged companions. Finally, if you just have to have Aunt Mary's poinsettia gift out by the tree for everyone to see try spraying the leaves with Bitter Apple repellant. If your pet does eat the plants remember that, in most cases, the severity of the problem caused by these products will depend on the amount ingested and the size and age of the dog. When in doubt, call your veterinarian or Poison Control Center for further information. Here's wishing you and your family a safe and happy holiday. Happy Gardening.